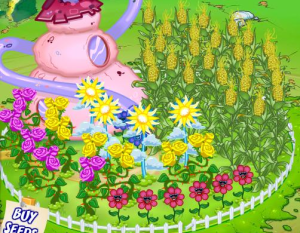 There are new Binweevils Garden item codes available and we have them all right here for you to get. These codes consist of different items that you can put in your garden and you can use them to help decorate it as well. Lets take a look below to get the Binweevils Garden item codes. To get the codes you have to go to the Mystery Code Machine that is outside the Lab’s Lab on the map. Then just enter the codes one by one to get the prize. The first couple codes are for scented flowers that are in the starry pot. To get the Blue Scent Flower in the starry pot type in 10202545. The next code to type is 35277325 and this will give you the Green Scent Flower that is in the starry pot. To get the Snowman garden item use the code CHILL. 2832029 will give you another scented flower for your garden. Try BEESCENT13 to get the Bee Scent flower. This is good for attracting different bees so they can create pollinate. If you type in BLUEROSE you will get the Tulip seed to plant in the garden. So far these are all the Binweevils Garden item codes we have. If you know of any other garden codes please share them with us by leaving a comment in the box below. We ill then add them to the page to share with all of our visitors. Make sure to check back often as we are always updating this page with new codes. If you are looking for other codes then check out our Bineweevils Codes page. This page has all the codes that are out today. Don’t forget to like our Facebook page and subscribe to our YouTube channel to get all the newest codes, cheats and tips.